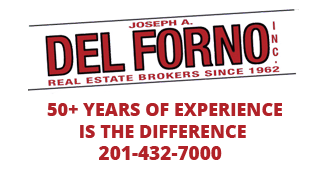 We Are the Solution to your Property Management Nightmares - Joseph A. Del Forno Inc. Tenants paying Rent Late, or not at All? Tenants calling you Day and Night? Keeping Records of Rents and Bills? Plumbers, Electricians, or Contractors Not showing up? We have been managing property for over 56 years! We have a full service staff team on call 24/7 including licensed plumbers, electricians, contractors, exterminators and painters, for all regular + emergency repairs and maintenance. Our skilled sales and leasing team is constantly in contact with qualified potential tenants. Sales agents work directly with our separate division of experienced agents that specialize in property management. We screen every potential tenant’s application and verify employment and landlord references. In addition, we run a complete credit check which includes a background check of any court related tenancy issues. If requested, all of this information is provided to you, for review prior to acceptance. We have agents that specialize in Section 8 and are knowledgeable of the rules and regulations of public housing programs in the area. Our Attorney, Tara D’Amato represents Joseph A. Del Forno Inc., in proceedings arising from dispossess and eviction cases. Our bookkeeping department maintains and sends you a detailed statement showing monthly activity rent and expenses at the end of each month. The statement is a full accounting of all accounts receivable (rents), cash disbursement (expenses), that have transpired in the months’ time including the properties current vacancy factor and rent roll. At the end of each year you will receive a full detailed compilation report of the year’s income and expenses which can be easily used for income tax information purposes. Our management team is available M-F 9am-8pm, and Sat/Sun 10am-4pm, to answer all of your questions. In the event of an emergency we have a 24/7 answering service that is always in direct contact with our management team. In addition we also have an online program that creates an owner portal that is designed to provide you with real-time information regarding your rental properties or condominium association. Collect rents and dispossess tenants for non-payment of rent. No repair work, no payments of any monthly expenses. Fee 6% of rents collected. Same as #1 with repairs. Fee 8% of rents collected. Same as #1 and #2 and payment of monthly bills. Fee 10% of rents collected. *Please note that these fees are negotiable based on the number of units and their monthly rents. We welcome the opportunity to meet with you and/or representatives from your company at their convenience, to discuss this matter in greater detail. We appreciate your time and look forward to being of service for all of your Real Estate needs. Joseph A. Del Forno, Inc.